Kristjan Järvi and the MDR Leipzig Radio Symphony Orchestra host unique encounters between different musical cultures in Leipzig from June 4 to 19. 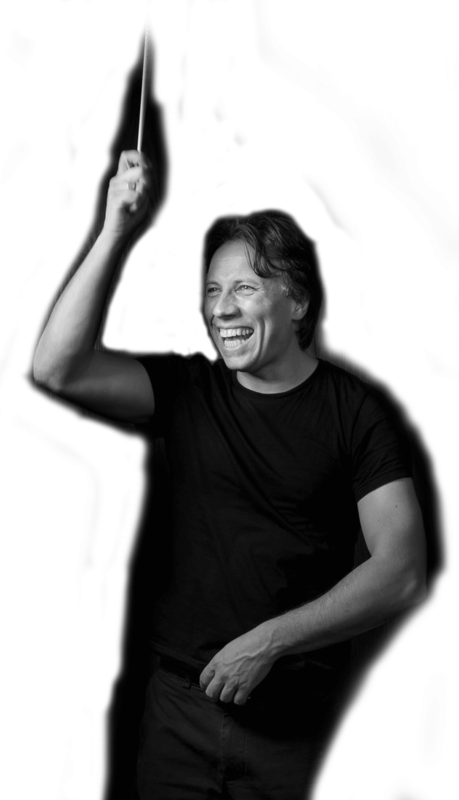 Since taking up his position as Chief Conductor of the MDR Leipzig Radio Symphony Orchestra in the 2012/2013 season, Kristjan Järvi has used his trademark creative energy and versatility to implement a programmatic reorientation of the orchestra, cleverly combining classical tradition with contemporary and less familiar musical cultures. To Järvi the form of the festival, which has the aura of the unique while involving different musical genres and performance venues, is the ideal vehicle for attracting attention within the city and beyond. The current season’s motto, “Go South”, takes the FESTIVAL OF LIGHTS to India, Australia and Africa, among others, featuring renowned musical guests and their works. Launching the festival, Anoushka Shankar, the world’s foremost sitar player and daughter of the legendary Ravi Shankar, keeps his heritage alive by appearing in concert with the MDR Symphony Orchestra on June 4 at Leipzig’s Gewandhaus. Together with the MDR Symphony Orchestra, Anoushka Shankar performs a rarely-played masterwork by her father, the solo concerto for sitar and symphony orchestra Raga Mala which Ravi Shankar first performed with Zubin Mehta in 1981. This concert in Leipzig also features the world premieres of Symphonies No. 1 and 2 by the Indian composer Pyarelal Ramprasad Sharma, who has written more than 400 film scores for Bollywood; here he indulges his “classical-western” side. A chamber music evening at UT Connewitz on June 7 honors the Romanian national composer George Enescu. Compared with Bartók or Stravinsky, his music is still rather undiscovered, despite the fact that Enescu, a fabulous violinist himself, wrote wonderful music especially for strings. Members of the MDR Leipzig Radio Symphony Orchestra and guests perform George Enescu’s Airs dans le genre roumain for solo violin and his String Octet No. 7, among other works. The Australian saxophone player Amy Dickson is currently causing a stir all over the world. On June 9 she joins the crew at Werk 2 in Leipzig for a – not exactly brief – musical world tour extending from Georgia via South Africa to Australia. First off, Amy Dickson plays Giya Kancheli’s Night Prayers, originally written for the Norwegian jazz saxophone player Jan Garbarek. No piece could be better for a South African stopover than White Man Sleeps by Kevin Volans. The remaining endless miles in flight will be accompanied by Amy Dickson’s saxophone sounds – appropriately , she has chosen Inflight Entertainment by her Australian compatriot, the composer Graeme Koehne. 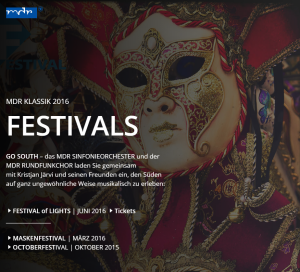 At the same time as the FESTIVAL OF LIGHTS, Leipzig will witness the great “Bachfest”. Kristjan Järvi and the MDR Symphony Orchestra honor Johann Sebastian Bach’s legacy in a cosmopolitan manner at the Gewandhaus on June 12. Bach’s Passacaglia and Fugue in C-Minor BWV 582 will be played in Leopold Stokowski’s arrangement for symphony orchestra. The Nine Bacchianas by the Brazilian Heitor Villa-Lobos promise infectious groove. The 18-year-old Malaysian pianist and composer Tengku Irkan offers a contemporary homage to Bach with his composition Vivacity, which has its world premiere on this occasion. The Venezuelan composer Sef Albertz could not avoid Johann Sebastian Bach either. This is demonstrated by a concert with the MDR Leipzig Radio Symphony Orchestra and the MSL BigBand at the MDR-Würfel at Augustusplatz on June 14. Albertz transforms a Bach Chaconne into a concert piece for piano and orchestra. Another piano concerto by Albertz, performed by soloist Anna-Maria Maak, combines southern temperament with quite a “Bach-like” profundity. Finally, a work commissioned by the MDR for piano, string orchestra and big band features not only the MDR Leipzig Radio Symphony Orchestra, but also the MSL BigBand, which brings together young jazz musicians from the Music School Leipzig. Lukas Ligeti, son of the Hungarian composer Györgi Ligeti, has his very own perspective on the musical present: the son’s passion lies in a fusion of contemporary avant-garde, improvisation and electronics with African traditions. On June 16, Werk 3 in Leipzig witnesses a new, extensive work for orchestra and Burkina Electric, composed by Lukas Ligeti with support from his band colleagues, as well as arrangements of songs from Burkina Electric’s debut CD Paspanga, arranged by Ligeti for the MDR Orchestra and Burkina Electric’s lead singer Mai Lingani. Another musical innovator celebrates his 80th birthday this year: Steve Reich, one of the fathers of modern musical minimalism. For his homage to Steve Reich, Kristjan Järvi has chosen his vocal composition Tehillim (Hebrew for “Psalm”), performed by the British vocal ensemble Synergy Vocals, contrasting it during the final concert of the FESTIVAL OF LIGHTS at the Gewandhaus on June 19 with a substantial counterweight: Anton Bruckner’s Symphony No. 6. On the occasion of Reich’s 80th birthday in October, a double CD of his works will be released by Sony Classical.